So, on those days I was keeping on asking for my mother that when we are going to school. My mother told me it’s not essential much as nursery kids are getting advance education than their age. I think today kids are getting more and more advance education during their nursery time. But nowadays mothers are not in a position to reject even though the conditions of education go like that. When a kid becomes three to four years old, he/she should go to nursery. Because mothers are also going to work, I think they feel a little comfort by looking at the safety side of kids when they are in the nursery. I think it’s a freedom for baby sitters as well when the kid is not at home for few hours at home. So, they also would like to send the kids outside for their relief. However, baby-sitting is not an easy task and I’m not saying they’re feeling is wrong. As well as parents also do not want to get rid off from the way that society used to go due to high competition in the education system. Therefore, due to many reasons, nursery education has become a must for today. In those days, I remember that my parents gave lot of craft work to do. My mother asked me to draw pictures in drawing book and I decorated or filled by pasting dhal. I used to create new designs using sliced vegetables with coloring. Made different masks. 😍 We had the freedom to do whatever we liked. But in those days, there was a small yard in the house where the father got as quarters. So, I didn’t have enough space in the yard and played games inside the house. The house was very close to the road and yard were a prohibited area to play. So, I liked to go to school very much because of such things. Therefore, there were big preparation as well. So, because of these reasons and since I was born in the second month of the year, I could go to school when I was five years old. Normally age should be six to go to grade one. Children who born in the first month of the year also can join one year upfront and its an advantage for them as they could save one year of time. So, all the required things like shoes, bag, books, pencils, bottle and lunch box are ready and those kept as exhibition items in the living room. 😍 Only my uniform need to be finished by mother and it was also almost finished. I did not have patience to wear it. So that’s the moment where my uniform was ready to wear and see. So, my mother cut some additional hanging threads and asked me to wear to make sure there are no any loopholes. But I wanted to show that now I’m a school child to my neighbors. Once I just wore the school dress, I rode the wall and jumped into the other quarters to show my story to ‘Kuruppu’ uncle who was one of our neighbors. 🙂 There were two more houses and all those were given by the government as quarters for employees. So, ‘’Kuruppu’ uncle also one government employee who worked with my father. There was another uncle with ‘Kuruppu’ uncle in the same quarters and I could not remember his name. So, all were my friends in those days. 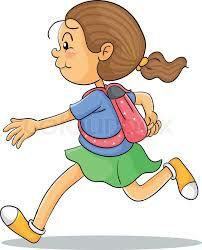 Once I went there I showed my school dress and started to tell about the new chapter of my school journey. So, after all those work my day came and it was the time where I had to go to school.😍 I was very happy and my parents came to hand me over. There was walking distance to school and we all three left to go to school. I was very happy with what I saw on my way. I could see that many students were going to school by wearing white school dresses. The only difference was I didn’t have a tie to wear at that time. They seemed very important to me as big ones. So, I left my parent’s hands and took one of the elder sister’s hands. So, I was so happy and I think they would think me as a kid and came with me without any objections. Later on, my mother used to remember this incident for a few days saying that I forgot them after meeting other students. Bread with strawberry jam, a bottle with separately packed soft drink and water were certain additional motivation for me to go to school. Strawberry jam and its smell remind my grade one class always. It’s a very nice memory today. Later on, there were different food in my lunch box when I was sharing foods with my friends. There were some foods like ‘Coconut Sambal’ and biscuits. Even my mother asked, she did not follow up much. On those days I would love to eat bread with ‘Coconut sambal’ and I used to bring it via my friend as I did not have ‘Coconut Sambal’ much at home. Even though others tried to scare me telling stories about stomachaches with warms as a result of this food, I used to keep this habit until that friend got angry with me for some unknown reason. 😉 Taking the design of chocolate biscuit and paste it on cream in the other side of the biscuit was also a one hobby we had at lunch interval. So, when I came back home on that special day, my father had not forgotten to take a photo of me and my mother. My father could gift that memorable moment which I have been seeking for a long time. 😍 That photo shows the way me and mother was coming home from school by hanging a bag on my right-hand side. The wide smile on my mother’s face shows the same happy feeling I had at that time. This entry was posted in Entertainment and tagged blogging, child care, children, Early Childhood, friends, fun, Hobbies, Parents, School. Bookmark the permalink.